﻿We would like to host your event. 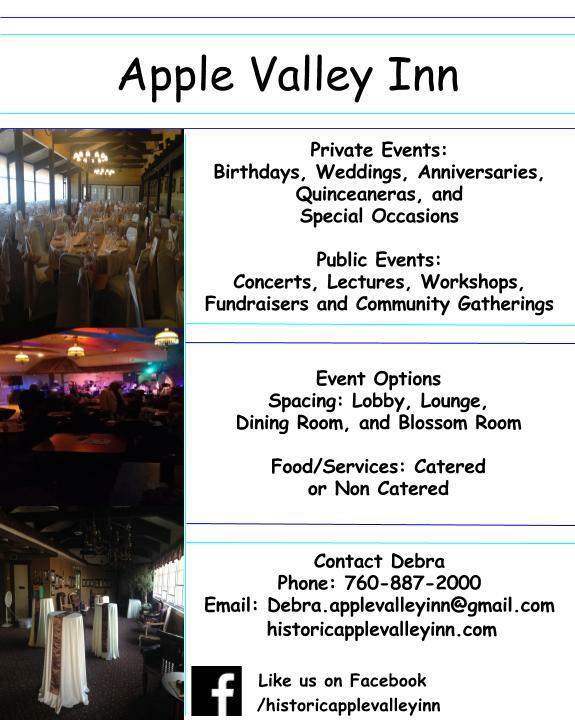 There are many options here at the Historic Apple Valley Inn. For more information please go to our contact page.